This anti-wrinkle treatment is formulated to fill deep wrinkles and regenerate tired skin. The exceptional properties of hyaluronic acid enable adding in-depth moisture and density to skin by stimulating collagen synthesis. The high collagen content in this anti-wrinkle treatment visibly firms skin. Wrinkles are reduced, skin texture is pulped and the skin regains tone. 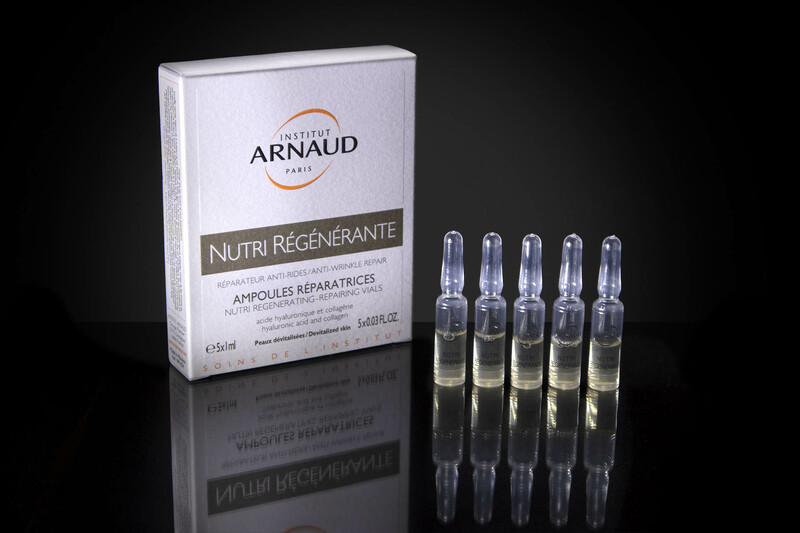 Marine and vegetal collagen: moisturizes, regenerates and firms. Vitamin E: captures free radicals. Marine elastin: adds elasticity and tone to skin. For women over fifty who want thorough action from an in-depth treatment. For use as a three- or four-week treatment between seasons. Shake the vial, break the seal and pour the contents into the palm of your hand. Apply to your face and neck by patting using your fingertips, preferably in the evening on a perfectly clean face and neck, and underneath Perfector Lasting Lift Day / Night Cream (#2872). A reclosable cap means you can use the vial for two applications; the vial can be kept for 72 hours.